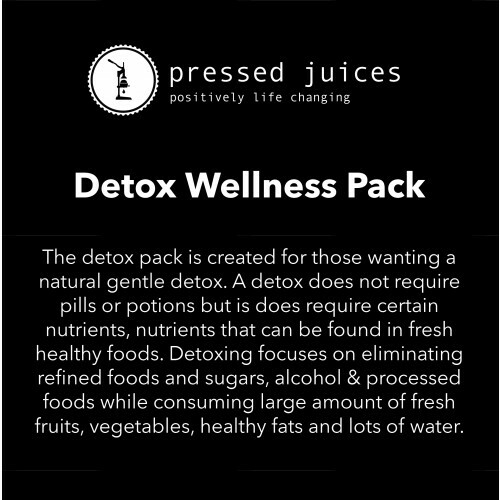 The detox pack is created for those wanting a natural gentle detox. A detox does not require pills or potions but is does require certain nutrients, nutrients that can be found in fresh healthy foods. Detoxing focuses on eliminating refined foods and sugars, alcohol & processed foods while consuming large amount of fresh fruits, vegetables, healthy fats and lots of water. 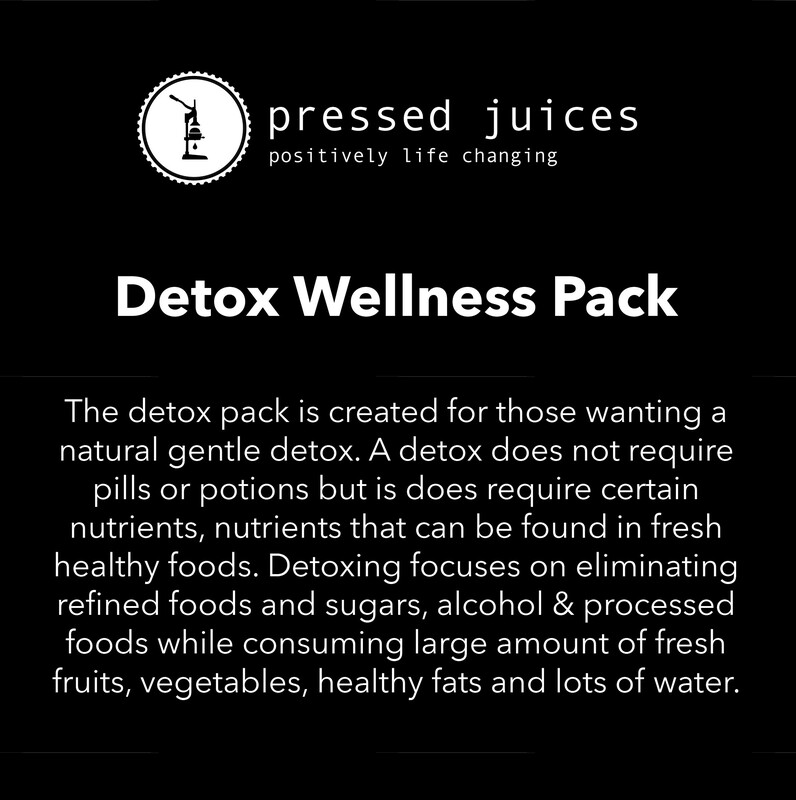 Our detox pack consists of juices that stimulate the detoxification process in phase I and phase II via the liver. Our organs work together to rid toxic exposure & impurities from our bodies via purifying the blood & excreting wastes while refueling nutrients. We need to refuel these nutrients ourselves to keep a healthy detox process. Vitamins such as B Vitamins, Vitamin A, C & E as well as minerals like selenium and zinc. The juices in our detox pack focus on the all nutrients needed and will flood your body with hydration, another very important factor! Along with vitamins & minerals this pack also acts as an anti-inflammatory helping to reduce any inflammation that may be causing issues.